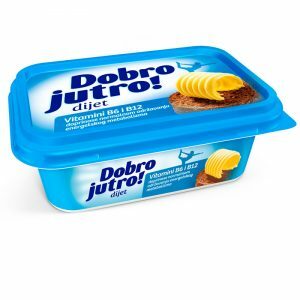 First margarine for spreading, was produced in the domestic market, in the distant 1980, it was a Dobro Jutro, a favorite product of many generations of consumers. 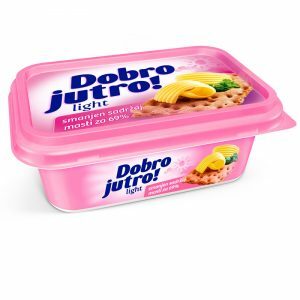 Over time, the Dobro Jutro grown in line of the spreading margarine which now make up Dobro Jutro Dairy, Diet Dobro Jutro, Dobro Jutro Light and Dobro Jutro Junior. 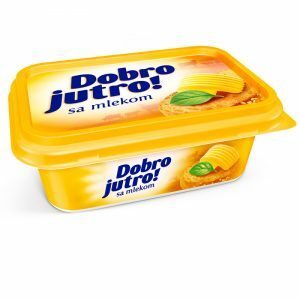 The natural source of essential fatty acids and vitamins, and the absence of cholesterol and trans fatty acids constitute Dobro Jutro margarine, nutritious, highly valuable food.